Now the masses have awoken more or less to the fakery of mainstream news sponsored by the big end of town, a serious question arises. What is the role of the newly labelled category of fake news and what can we learn from it? 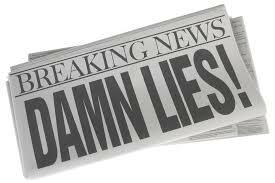 Samantha Montgomery concludes in this article that all news is fake and therefore we need to ask ourselves why we are even reading or looking at the news. Samantha argues that news is in fact reported history and so therefore logically cannot be classified as new at all – by the time its reported its already old. RM interviewed Samantha from her office in Melbourne where she is now ironically setting up a Fake News Agency. RM: Samantha, what has motivated you to establish a fake news agency at a time that both fake and regular mainstream news is generally discredited as rubbish? S: George Orwell’s double speak language in his classic 1984. We are there now, we were also there in 1984, but he did not anticipate a double double speak response to his double speak language used in the novel…the very knowledge of double speak created double double speak, and hence the emergence of fake news. S: The labeling of any news as fake today captured my attention. Knowing full well that mainstream news has always by its nature been fake represents a new opportunity to find real news. RM: But you have already said that news is a false concept in that anything that has happened is not new and therefore cannot be news, please explain..
S: Its only news to you if you dont know it, but most of the time you know it so its not new or news…how can a plural be created from a novelty…it cant..so its a false construct and always designed to interfere with the present simple construct of the present…news arrived at the same time that western systems of education arrived..they are part and parcel of the same false construct. S: To disempower the full potential of the individual connected to a higher divine purpose to fulfill his or her destiny. RM: Are you saying that news has always been the domain of nefarious and perverted interests pursuing their own goals? S: Essentially yes, think about the common expressions we all know…’no news is good news’..’there is nothing new under the sun’…once a upon a time people just existed and lived and minded their own business…then agriculture began, then storage of food began, the concept of scarcity and greed was the genesis for people wanting t0 know things that once upon a time were irrelevant…its patently obvious within indigenous hunter gatherer communities that had a policy and lore of minding their own business which is the opposite end of the spectrum of what we now perceive and realize to be news..news is a modern day phenomena that can be traced backed to Adam eating the forbidden fruit…look at the Apple Corporation logo and its out there for all to see…don’t take a bite of the fruit that you don’t need or were told in advance to stay away from…if anyone is to blame its Adam and maybe Eve as well for not keeping him away from the tree. RM: So what is your interest in establishing a new news agency, let alone a fake news agency? S: I consider it a public service for people who are now turning away from fake news..
RM: You mean regular mainstream news? S: Exactly! The fake news agencies created the concept and label of fake news and unwittingly did me the service of helping my real fake news agency…which is the real news if you follow my logic..
RM: Amazingly I do…can you reveal details of the launch of your fake news site so that we can reference it..
S: Not as yet, its all under wraps, but we will be featuring the worlds most labelled fake news sites including my favorite, corbettreport.com which was accredited recently. RM: Many thanks Samantha, we look forward to your fake news service and please keep us updated. S: You are most unwelcome! Samantha has kindly provided RM with her best sources of fake news sites pending the opening of her fake news agency, in the meanwhile RM will attempt to keep its readership updated with the most credible fake news sites available. Rosettamoon currently has not achieved fake news status and will seek readership support to address the situation.